seashells in the sand. Sea waves. Holidays on the beach. hd00:26Sea, sand, waves, coral, sea kayak, shot sky, long shot. Sea wave waves approached. 4k00:15A small smooth rock stays steady as the ocean water rushes in. Shot on 6.5K sensor to 4K resolution. Super Sharp. hd00:09Tiny beige crab crawling near its hole without shell. Sandy beach on Phuket island, Thailand. hd00:38wedge shell if dislodged by a wave, shell can rapidly dig themselves back into the sand, usually preserved in a salt solution and eaten as a rice soup. 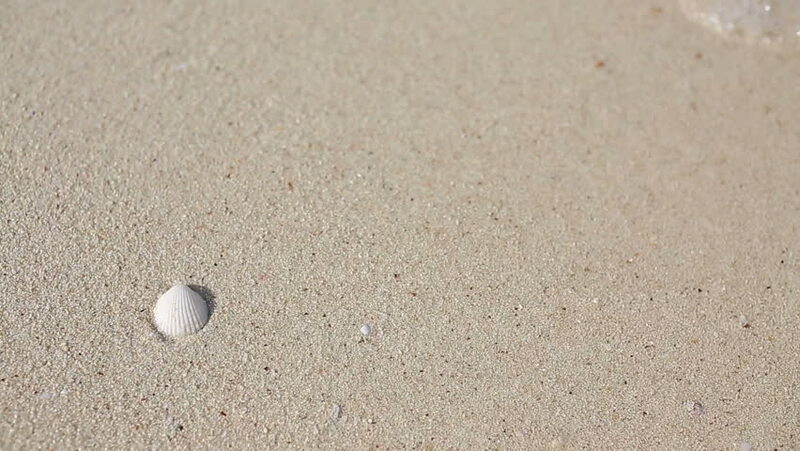 4k00:11One small crab crawls on the white sand of tropic beach. hd00:19Tiny beige crab crawling near its hole without shell. Sandy beach on Phuket island, Thailand.